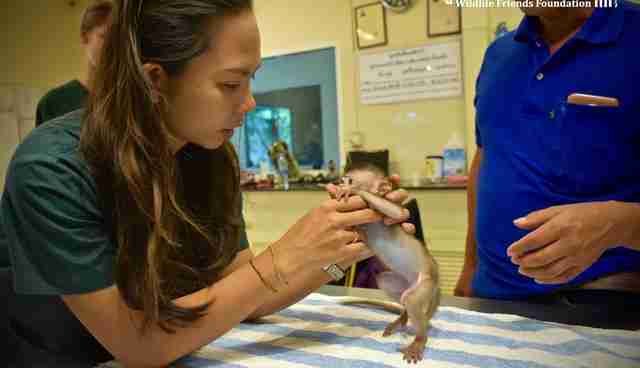 Phubai is a long-tailed macaque, and even though his kind is considered a pest in Thailand, he's getting the love he needs to survive. 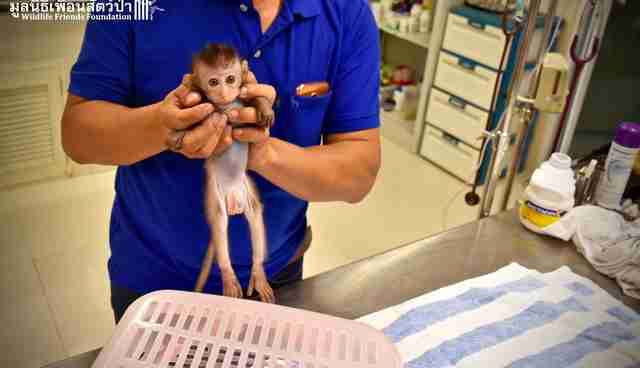 These kinds of monkeys are often bred in facilities and exported internationally to be laboratory test subjects. 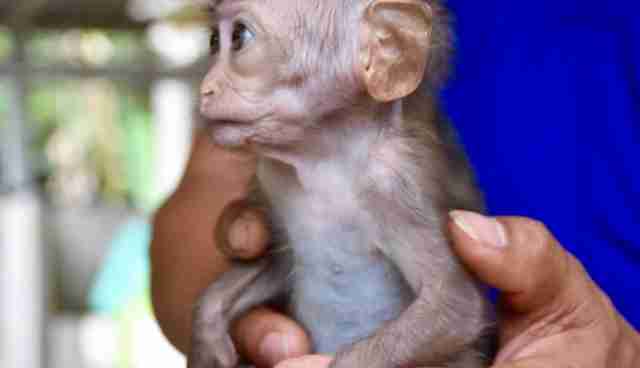 Some are pulled into the pet trade, never knowing what it's like to be a wild animal. And those who remain in the wild are threatened by habitat loss and human beings who see them as pests. 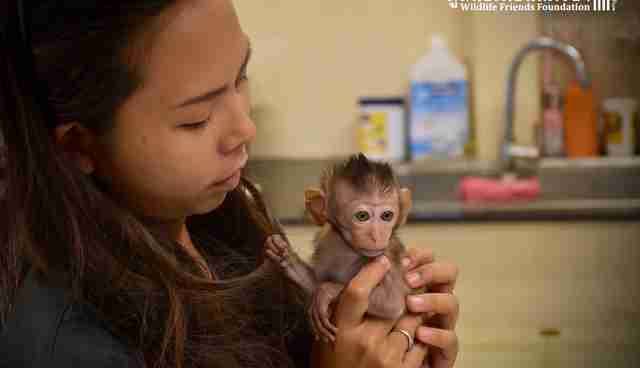 "Increasing competition between macaques and humans due to the increase in need of land for agriculture and other human activities is the foremost reason that macaques are persecuted as pests," explained Wildlife Friends Foundation Thailand (WFFT), which rescued Phubai earlier this month. 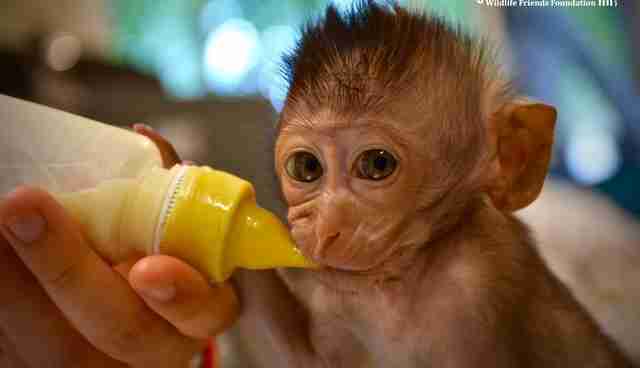 At just 8 weeks old when he arrived at the rescue center, Phubai hungrily accepted his first bottle. 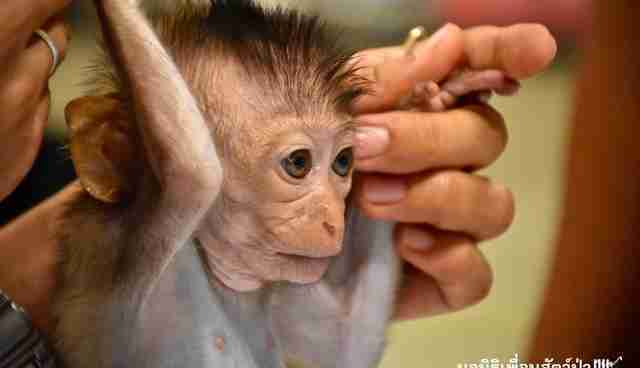 Phubai had been found without his mother, after a program to try to control the macaque population swept through his habitat. 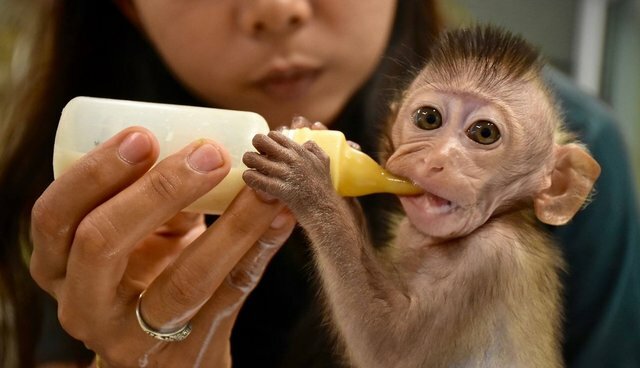 "A de-sexing program to control the macaque population had recently been conducted, with the aim of helping alleviate human-macaque conflict in the area," WFFT wrote. "Whole troops of macaques were caught in enclosures, the males were de-sexed and then all the macaques were released back to the wild. 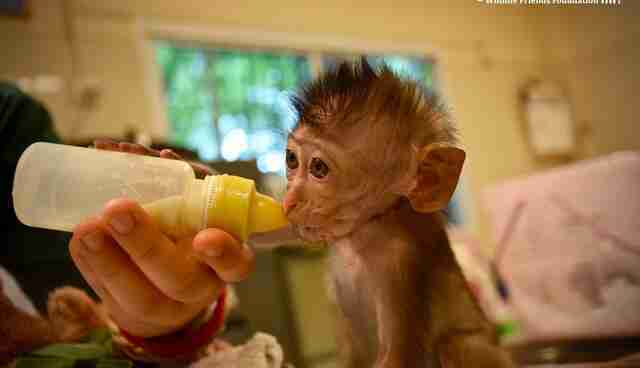 This can be a stressful time for the macaques, it seems that this little guy was left behind by his mother." He probably wouldn't have survived at such a young age on his own. Luckily, he's in good hands now. 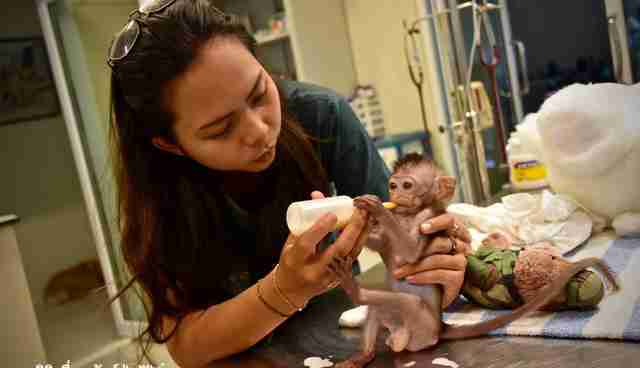 Little Phubai is getting round-the-clock care from the WFFT team - and he's not alone. 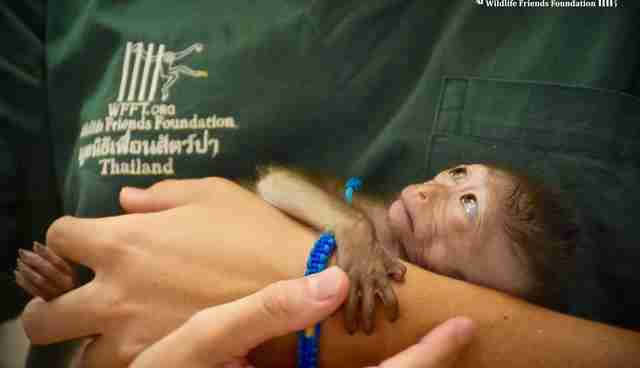 "Luckily we have another infant long-tailed macaque, Makood, who can keep this little guy company," the group wrote. Click here to learn how you can help WFFT care for these animals.